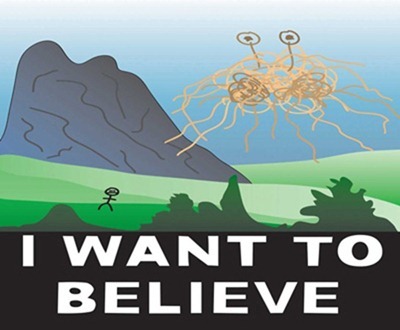 Dude: The Flying Spaghetti Monster is not a myth, a joke or a cult figure. He, she or it is as real as the pasta we breathe! 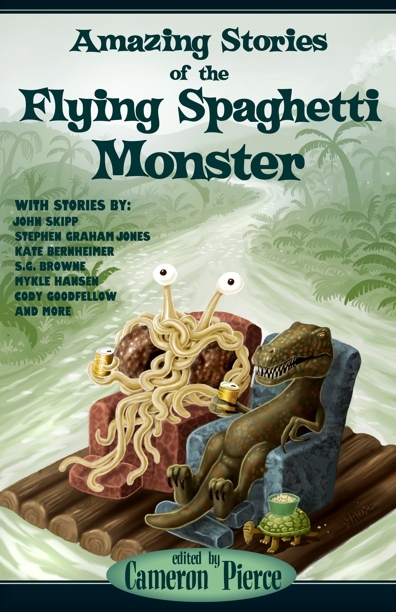 And FAMH is a true believer, as evidenced by his confessional contribution to AMAZING STORIES OF THE FLYING SPAGHETTI MONSTER, due out this fall on Eraserhead Press. Check out the cover! S.G. Browne, Stephen Graham Jones, Kate Bernheimer, John Skipp, Kevin L. Donihe, Bradley Sands, Andersen Prunty, Jeffrey Thomas, J. David Osborne, Bruce Taylor, Marc Levinthal, Kelli Owen, FAMH and others contributed to this epic tribute to our favorite edible deity. Their place in heaven is assured! Soon, yours will be too. Watch for it — at Amazon.com and wherever else fine books are watched for! Or else just glue one eye to Bizarro Central for all the latest news and rumors from the palpitating Bizarro-verse.